(Lead) Barbara Mones is a Principal Lecturer in the Paul G. Allen School of Computer Science & Engineering, and Director of the Reality Studio, a part of the Reality Lab. She also leads the Facial Expression Research Group ( FERG). 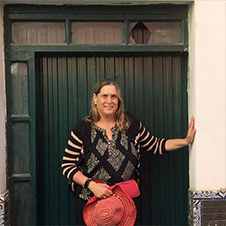 She has worked in both academia and industry in the areas of computer graphics and animation production for over thirty years. She was a tenured Associate Professor and the Founder and Director of the Visual Information Technology Graduate program at George Mason University, a Visiting Researcher in the Department of Computer Science at George Washington University, Fellow at the Human Interface Technology Lab at University of Canterbury, New Zealand, and worked for the White House and National Aeronautics and Space Administration on Al Gore's GLOBE (Global Learning and Observations to Benefit the Environment) Program. For this she was presented with a NASA Group Achievement award. She designed and wrote training programs for all aspects of the production pipeline at both Pacific Data Images/DreamWorks and Industrial Light and Magic. In her role as faculty, she has directed and produced nineteen animated shorts since 1999. Most recently she is developing curriculum that incorporates the potential of Virtual Reality into storytelling, content development and filmmaking. She has lectured extensively on an international level on topics related to animation and curriculum development. Her films have been shown in theaters and museums internationally including the SIGGRAPH Electronic Theater and the Smithsonian Institution. She studied animation at Sheridan College and received an MFA from Rhode Island School of Design. Gary is an author, artist, and critic. He received his artistic training at the Art Students League of New York and the Ecole Nationale Superior Des Beaux Arts in Paris. His 1991 book, The Artist's Complete Guide to Facial Expression, is a recognized classic in its field, now in its 18th printing and translated into six languages. It is the standard reference for digital animators, forensic artists, and portrait painters on the subject of expression, and Mr. Faigin has lectured on the subject to plastic surgeons and cosmetic dentists, as well as computer animators and modelers. . He has been the Art Critic for NPR station KUOW since 2000. He is co-founder and Artistic Director of the Gage Academy of Art, an independent school founded in 1991 and now serving 1800 students a year. 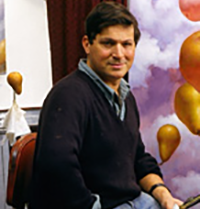 As a painter, his work has been featured in 15 solo exhibitions, including two museum shows, and is included in public and private collections worldwide. In 2006, he collaborated with Live Labs at Microsoft to create a virtual, online version of his studio for the first public demonstration of the capabilities the Photosynth software system. He has served as a consultant to the Animation Production capstone series, part of the CS Department at UW, since 2008. Alex Colburn is a Research Scientist at Zillow where he pushes the state of the art in 3D home reconstruction and visualization. He was Research Scientist at Amazon, where he worked on product imaging and augmented reality systems. 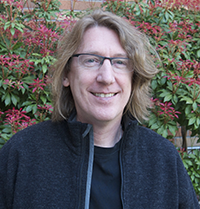 At Microsoft Research, his research focused on creating platforms for building virtual worlds and computational photography. As a member of the Facial Expression Research Group (FERG) he helps combine artistic insight and machine learning techniques to better understand facial expressions and create amazing tools for artists. Linda G. Shapiro received the B.S. degree in mathematics from the University of Illinois, Urbana, in 1970, and the M.S. and Ph.D. degrees in computer science from the University of Iowa, Iowa City, in 1972 and 1974, respectively. She was an Assistant Professor of Computer Science at Kansas State University, Manhattan, from 1974 to 1978 and was an Assistant Professor of Computer Science from 1979 to 1981 and Associate Professor of Computer Science from 1981 to 1984 at Virginia Polytechnic Institute and State University, Blacksburg. She was Director of Intelligent Systems at Machine Vision International in Ann Arbor from 1984 to 1986. She is currently Professor of Computer Science and Engineering and of Electrical Engineering at the University of Washington. Dr. Shapiro is a Fellow of the IEEE and a Fellow of the IAPR. 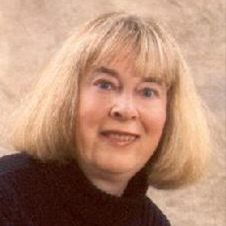 She is a past Chair of the IEEE Computer Society Technical Committee on Pattern Analysis and Machine Intelligence, former Editor of Computer Vision, Graphics and Image Processing, and a current Advisory Editor of Pattern Recognition. Professor Shapiro's research is in computer vision with related interests in image and multimedia database systems, artificial intelligence (search, reasoning, knowledge representation, learning), and applications in medicine and robotics. 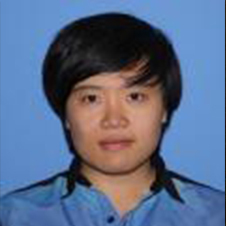 She has worked heavily in knowledge-based 3D object recognition and has contributed to both the theory of object matching and to the development of experimental machine vision systems. Her current work includes facial expression recognition, cancer biopsy analysis, 3D face and head analysis and reconstruction, and object segmentation in videos. Deepali Aneja is a fourth year Computer Science PhD student at University of Washington working in Graphics and Imaging Lab, advised by Linda Shapiro. Prior to joining the University of Washington, she received her Masters in Technology from Delhi University (Netaji Subas Institute of technology), India. 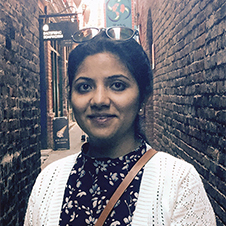 Deepali's research interests lies at the intersection of Computer Vision, Computer Graphics and Machine Learning. She is particularly interested in facial expression recognition, expression transfer and lip synchronization for character animation. She is also one of the 2018 Adobe Research Fellows and collaborates with Wilmot Li (Adobe Research) in developing tools for performance-based 2D animation. Bindita Chaudhuri received her B.E. degree in Electronics and Telecommunication Engineering from Jadavpur University, India in 2014, and her M.Tech. degree in Electrical Engineering from IIT Bombay, India in 2016. She is currently pursuing her Ph.D. degree in Computer Science under the guidance of Prof. Linda Shapiro at the Paul G. Allen School of Computer Science and Engineering, University of Washington, USA. 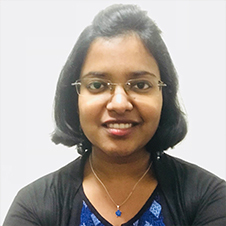 Her research interests include Computer Vision, Machine Learning, Computer Graphics and Computational Photography. Beibin Li earned his Bachelor of Science degree in Mathematics and Computer science from the University of Michigan in 2015. Later he participated in research related to autism at Yale University and Seattle Children's Research Institute. He is currently a Ph.D. student supervised by Dr. Linda Shapiro and Dr. Frederick Shic at the Paul G. Allen School of Computer Science and Engineering, University of Washington. Interested in computer vision, machine learning, and human-computer interaction, Beibin's goal is to use technology to help people in need. 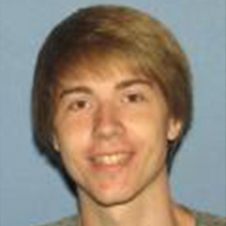 Volodymyr majors in Computer Science and is hoping to go into animation research and/or technical art in the future. He acted as an effects, scripting and sound lead in the animation capstone. Through taking the animation research seminar during the winter quarter he was introduced to the VR facial expression research and is excited to continue working on it in the future. 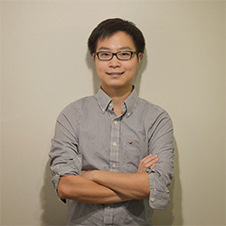 Alex(Yue) Teng is a computer science student who is interested in reconstructing human facial and body expressions. Her work focuses specifically on the style of the film and character motion in the Animation Capstone 2018. Her ultimate goal is to simplify the progress of producing clips and films to encourage more creative minds demonstrating their imaginative stories. Her favorite things to do after school are playing and making games. Carson is a Computer Engineering major who has been a part of the Animation Capstone in the 2017-2018 school year. As the facial expressions team lead and one of the motion team leads for the Capstone, he is very interested in facial expressions from an animation perspective, especially when it comes to subtle emotional transitions and expressions in motion. 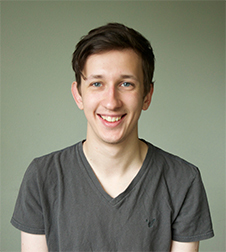 He hopes to continue to pursue interests in facial expressions and animation through research and work on films.